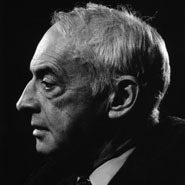 Upon awarding Saul Bellow the Nobel Prize for Literature in 1976, the Nobel Committee noted that the writer had taken American narrative art in a strikingly new direction, away from what it described as the "virile air and choppy prose" in fashion at the time, in favor of a turn inward to a protagonist's inner self. Bellow's first novel, Dangling Man, was reviewed by almost every major newspaper and journal in the nation when it appeared in 1941. In 1965, Bellow won the International Literary Prize for Herzog-his post-war novel on the familial relationships of his character Moses Herzog-becoming the first American so honored. Other works by the novelist include Seize the Day (1956), The Adventures of Augie March (1953), and Henderson the Rain King (1959).